An effective storyteller and spokesman, I speak from the heart. I have a resonant baritone, can speak with authority on a subject, yet engage my listener with a warm, conversational tone. My credits include over 200 Talking Books and 15 commercial audiobooks, corporate and educational narrations, and a PBS documentary. I really enjoyed voicing characters in audiobooks and video games (Thief3 and Mech Mercenaries). I also enjoy using my voice to promote projects I believe in, and to teach and inspire. Dream jobs: animation character voices, and telling children's stories, neither of which I've yet been hired to do. Extensive acting training and experience which, I believe, has been invaluable to me in every area of the spoken arts. Payment to John Haag is securely made through the VOICEOVERS.com escrow service. This guarantees your project is completed to your satisfaction. You can pay securely by eCheck, Visa, Mastercard or American Express and when the work is done, simply download the final files, and release funds to John Haag. 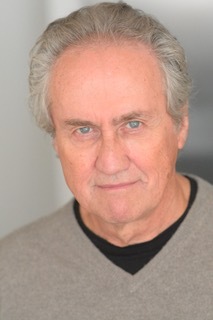 To invite John Haag to audition for your project, simply click the green button next to the profile picture, answer a few questions about your project and instantly receive a quote. John Haag typically responds within 24 hours.